We hear the majority of our clients saying the most important thing to them with their next loan is putting down the most amount of money possible. This allows them to drop their monthly payment and possibly even their PMI or private mortgage insurance. Let us tell you how we can save you over $5,000 on the purchase of a $300,000 home. And even more for a jumbo loan! It’s called Keller Zero Plus Mortgage. Keller Williams, the real estate company, purchased Keller Mortgage in 2015. Keller Mortgage has been in business for 20 years, but under a previous name, but with plenty of experience. 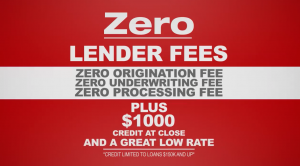 Their Keller Williams client exclusive offer is what we call a “Zero Plus” loan. When you partner with a Keller Williams agent or make an offer on Keller Williams listing, you’re eligible to take advantage of this program. Zero Plus is Keller Mortgage’s loan program. Keller Mortgage does not charge an origination fee, underwriter fee, processor fee, transaction fees, rate lock fee, etc! And for loans greater than $150,000 they also give a $1,000 credit back at closing, which will cover the cost of your Appraisal and Inspection. On top of all that they offer very competitive rates and order the appraisal day 1. If you don’t close, you don’t pay for the appraisal. How can they do this and still offer low rates? Unlike most loan companies like Quicken Loans or Rocket Mortgage, who pay Millions of dollars a year to advertising, Keller Mortgage doesn’t spend a dime. You will only hear about them through Keller Williams Agents. That puts the thousands of dollars per transaction back in the pocket of you, the buyer! What Qualifies for the Zero Plus Loan? The only other criteria is a minimum credit score of 620. We are able to offer this product to you, specifically because of our partnership with Keller Williams. We can also offer it to the buyers for your home – saving them thousands of dollars and giving them no reason to ask you for closing cost assistance! We take this job of selling your home and helping you purchase your next very seriously. How do I apply for the Zero Plus Loan? 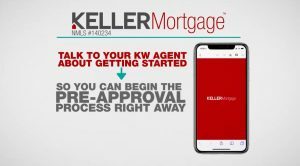 You are able to sign up for the Zero Plus loan on the KW app. Just ask your favorite MKT (Michael Kaslow Team) Buyers Specialist to send you a link and download to your phone! Or you can click the menu button at the top of our website or just click here. Which loan provider you eventually choose in no way benefits us financially. All we want is for you to have options and ultimately feel like you got the best deal for you. We want you as a client for life, not just this transaction. Perhaps this tool will save you money, but more important to us is it will make you think of the Michael Kaslow Team the next time you find yourself thinking about real estate. Nicoli has a unique blend of real estate knowledge having grown up in the Lake Minnetonka area, and currently owning real estate in outstate Minnesota, urban condo and the multifamily rental world. He is eager to help you with any of the above!